Halifax Water staff had falsely told her the cost of the pipe would rest with ratepayers, says Mosher. Tim – I was delayed, on way to council. I noted your story, you misunderstood my comments, my point was as a result of taxpayers having to fund an additional $9 m for the other option, I regrettably supported the recommendation. I have no intention of bringing forward a motion to council and a motion of rescission is not in order. For the life of me, I can't understand how I "misconstrued" her earlier email. Perhaps readers have better reading comprehension. Regardless, I'll interview Mosher at length, when she's available. 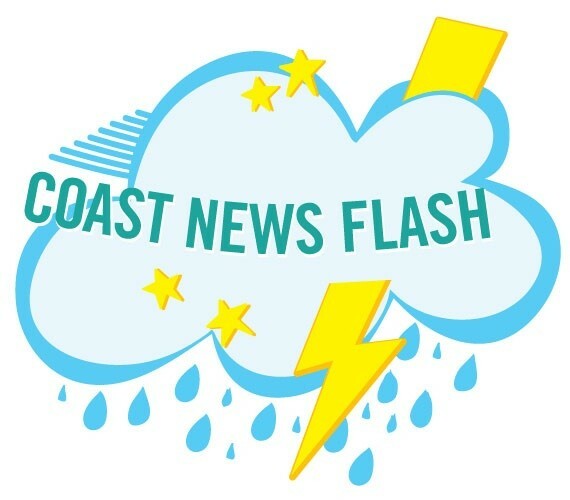 Breaking news, Tuesday morning: Halifax councillor Linda Mosher, who at last week’s council meeting made the motion to use the Chain of Lakes Trail as the route for a sewage diversion pipe from Timberlea, tells The Coast that she will introduce a motion of rescission of that motion at today’s council meeting. I had contacted Mosher after writing the bulk of the post below, but held off on publication until I heard back from her. Did The Coast misinform readers? we're all paying higher water bills to accommodate the construction of 3,200 homes and a golf course in Timberlea. This issue was discussed at Regional Council on Tuesday past. Halifax Water staff were asked as to whether the sewer to be constructed along the Chain of Lakes Trail was to be funded by Capital Cost Contributions (CCCs) from developers in Beechville-Lakeside-Timberlea. We answered no, which was correct. Capital Cost Contributions (CCCs) may be established in a master plan community to facilitate the construction of oversized infrastructure specific to the master plan area. These are master CCCs are levied against individual developers as their contribution towards the construction of infrastructure. The sewer system in question is deemed to be a regional system and is therefore not eligible to be funded from area master CCCs. However, 90% of the cost of the project is being funded from Regional Development Charges (RDCs). RDCs are charges levied against all buildings constructed within the areas of HRM serviced by a municipal wastewater system (with the exception of the Aerotech/Airport system). The funds generated from RDCs are utilized to fund regional growth-related infrastructure. The sewar system which will convey wastewater from Beechville-Lakeside-Timberleas to Halifax is eligible to be 90% funded from RDCs, with the remaining 10% being funded by the ratepayers. Halifax Water has an application before the NSUARB to enhance the existing RDCs, including extending the coverage to Aerotech/Airport. We trust that this clarifies the issue of funding of the proposed sewer system. I would like to correct a couple of errors in Mr.Bousquet’s July 31, 2013 article, “Bringing Timberlea sewage to downtown Halifax. Regarding the proposed option of diverting wastewater from the Beechville/Lakeside/Timberlea sewershed via the Chain of Lakes trail to the Halifax sewershed, Halifax Water reviewed three options: routing the infrastructure through Fairview; an upgrade and expansion of the Beechville/Lakeside/Timberlea wastewater treatment facility; and the routing of wastewater via The Chain of Lakes Trail system. The Chain of Lakes Trail was deemed the best value for money both in terms of initial cost and over the long term, having the lowest lifecycle cost of the three options due to the gravity flow nature of this pipe; and the gravity system also reduces associated environmental risk from the potential malfunction of mechanical and electrical equipment. Mr.Bousquet further states that the cost of the Chain of Lakes Trail pipe will be borne entirely by rate payers. This is incorrect. Ninety percent of the cost of the project is linked to regional growth related infrastructure and would be funded from regional development charges. Regional development charges are funds collected from all new construction at the Building Permit stage and are used to fund upgrades to wastewater treatment facilities and other regional-type infrastructure required to accommodate growth. The remaining ten per cent will be covered by ratepayers. The article goes on to say, “it's absurd to send sewage from the far-flung suburbs of Timberlea to downtown Halifax”. As noted above, three options were extensively reviewed. The Chain of Lakes Trail option was found to be the most cost effective in the short and long term, with the added benefit of providing the lowest associated environmental risk from the potential malfunction of mechanical and electrical equipment. In closing, Halifax Water is regulated by the NSUARB. As such the NSUARB will have the final say on this project. Got that? I reported that the entire cost of the sewer project, $20-25 million, would be paid by ratepayers, but then Halifax Water “clarifies” the issue to council, saying, no, that’s not right, 90 percent of that cost will not be paid by ratepayers. Further, Halifax Water puts a comment on the blog post saying that my reporting has “a couple of errors,” albeit only one alleged “error” is pointed out: my claim that ratepayers will be paying the entire $20-25 million. Well, golly, where did I ever get the crazy idea that ratepayers would be responsible for the entire $20-25 million? Was I was on drugs? Was I trying to fool readers, because I have a personal vendetta against Halifax Water? McCluskey: What’s the total cost of this? Sheppard: Twenty to 25 million. McCluskey: And how much CCCs are we receiving? Sheppard: There are no CCCs from Brunello for this project. They’re obligated to construct their own infrastructure, but there is no obligation on the part of Brunello for this particular infrastructure that’s being constructed. McCluskey: So all the taxpayers are paying for this? The Chain of Lakes Trail sewer pipe is a great example of the governance shell game—bureaucrats and politicians using different, conflicting, definitions and arguments at different times in order to get a preordained outcome. Try, just try, to keep your eye on the pea. Like a street con hustling passersby, the bureaucrats and pols are pros at the game, having spent a lifetime learning how to misdirect and confuse. Capital Cost Contributions (CCCs) may be established in a master plan community to facilitate the construction of oversized infrastructure specific to the master plan area. These are master CCCs are levied against individual developers as their contribution towards the construction of infrastructure. In short, in 2006, council voted for the sewage diversion from Timberlea to be paid for by developers in Timberlea. In practical terms, that means Brunello will pay for it, as the Brunello Estates development will produce all of the million gallons a day to be sent down the pipe. Westgate [the previous name for Brunello Estates] is within the Timberlea/Lakeside/Beechville Service Area. In May, 2006, Council endorsed a concept to divert some of the Timberlea/Lakeside.Beechville service area to the Halifax sewer system, and allow development to continue without exceeding the current design capacity of the wastewater treatment plant. HRM commits to provide wastewater treatment services in the Timberlea/Lakeside/Beechville Service Area in accordance with our usual practices. This means that HRM commits to Nine Mile River Investments Limited [now Brunellow Estates, Inc.] that it will have access when required in accordance with our usual practices to provide municipal sewage treatment. With respect to Westgate this is a commitment to provide municipal wastewater treatment contemplated by the Development Agreement, including 3200 residential units, the golf course and commercial development. So, according to this letter, after council decided back on May 30, 2006, that Brunello alone would pay for the sewage diversion, council changed its collective mind on April 24, 2007 and said that “all” developers in the entire city would pay for the diversion. Indeed, council did adopt changes to the Capital Cost Charges By-Law on April 24, 2007. Here’s the staff report given to councillors. To call this an arcane issue is an understatement. In all my years of covering Halifax council, I don't believe I've ever seen such an obfuscating staff report. In retrospect, given its timing, the entire point of the changes laid out in the report seem to be to take the cost of the Timberlea sewage diversion pipe off of Brunello Estates and put it onto the entire development industry in the city, but nowhere in the report is Timberlea, or the diversion pipe or Brunello mentioned. Even at their best, councillors are playing catch-up with the technical terms and bureaucratese used by bureaucrats, and if they're not following closely, it's easy for councillors to get hood-winked by staff. In this case, it certainly appears that staff, and specifically then-CAO Dan English, purposefully pulled the wool over councillors' eyes to make a change that would solely benefit Brunello. Even if the change in CCCs wasn't some diabolical scheme on staff's part, the effect was real: Brunello wouldn't be responsible for the costs of the Timberlea diversion pipe, beyond the normal charges that apply to all developers across the entire city. Sheppard: All the ratepayers of Halifax Water, that’s correct. I understood [her introduction to the logic] to mean that you didn't want the extra $9 million passed on to the *ratepayers*, as with either a CCC or a RDC, the taxpayer wouldn't be directly affected, and certainly not via their water bill. It was clear to me that you were saying that the entire cost of either proposal—the Chain of Lakes Trail or via the Fairview pumping station—would be borne by ratepayers, and in order to keep that cost at a minimum, you preferred the Chain of Lakes Trail routing, even though it would mean the loss of the trail for nearly two years. 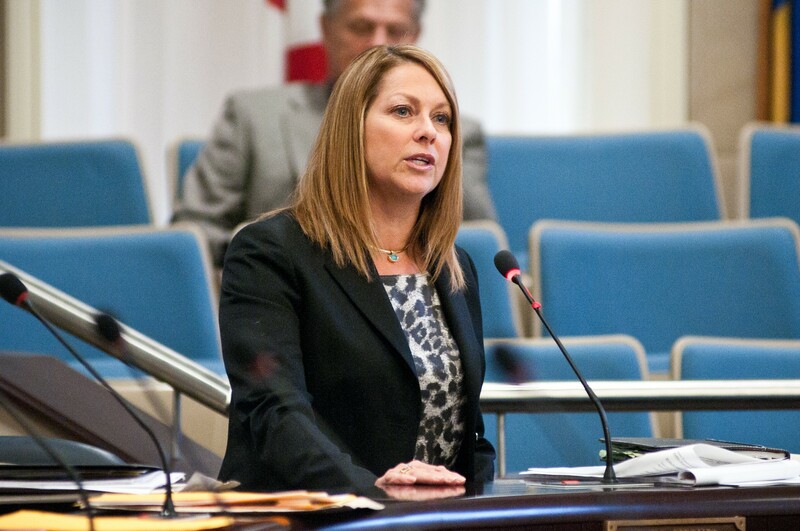 You said you spoke extensively with Halifax Water representatives. Were you told explicitly that the cost of the pipe would rest entirely with ratepayers? If so, doesn't the memo sent out Friday directly contradict what they told you previously? Now that Halifax Water says the pipe will be financed mostly through RDCs, doesn't that change the entire premise of your argument—that is, that we need to go with the Chain of Lakes Trail routing because residents in your district will pay less on their water bills, than had the routing been through Fairview? Now, with either Chain of Lakes Trail or Fairview, the bulk of the costs will *not* fall on ratepayers (and certainly the $9 million you mentioned). Now that you know the diversion will be mostly paid by developers, does that change your opinion of the need for the Chain of Lakes Trail routing for the pipe? Will you ask for a motion of re-consideration, now that the premise of your motion has been contradicted? Mosher is in meetings this morning, but says she will call afterwards. She did, however, send the email I quoted above, saying that she will indeed ask for a motion of recision. In her email, Mosher explicitly says Halifax Water told her the costs of the pipe would be paid by ratepayers. So what happened here? Why, when Halifax Water already had a RDC in place for the diversion pipe (#2 above), did john Sheppard tell Mosher and the rest of council that ratepayers would pay for it? This is what I think was running through Halifax Water's collective head: There's going to be a tremendous public outcry about tearing up the Chain of Lakes Trail for two years, just for a sewer pipe, but maybe we can counter that if we tell councillors and the public that if we don't use the trail for the pipe it will cost ratepayers $9 million more than if we do use the trail. I have lots of words for this. "Mendacity" is the most polite. Recall that the staff report from last week never mentioned the cost of the Chain of Lakes Trail pipe. Rather, the report only said that the Fairview routing alternative would cost $9 million more. The omission seemed purposeful to me. 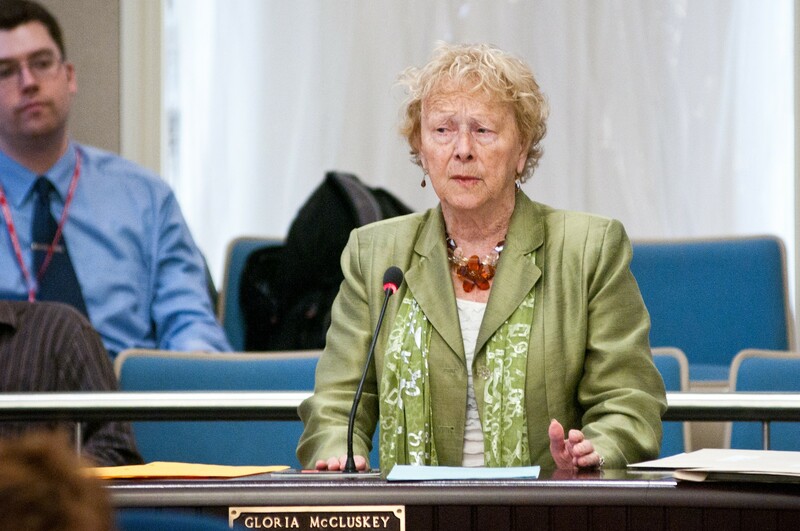 Only after councillor Gloria McCluskey demanded to know the entire cost of the pipe, and not just the relative cost of the alternatives, did we learn that it would cost $20-$25 million. And after I correctly reported that Sheppard had said ratepayers would pay for the entire cost of that pipe, Halifax Water seems to have gone into something of a panic mode, issuing a "clarification" to council and (wrongly) accusing me of being "in error." But even with the "clarification,' we're told that the RDC will pay not 100 percent of the cost of the pipe, but 90 percent. That still leaves 10 percent of the cost with ratepayers—$2 to $2.5 million added to water bills, for the benefit of a single developer. For comparison sake, the concert scandal cost about a fifth of that, $400,000. So, readers: Where's the pea? Plans for the sewage trail are still a bit, umm, underground.